Fil-Aussie Josh Sinclair shone again for Batang Gilas. Batang Gilas remained the lone unbeaten team in the the 2016 SEABA U18 Championship after it survived a gritty Malaysian squad and Indonesia fell short against Thailand. Singapore, meanwhile, nailed its first win of the tournament after outclassing Laos. - After falling short in its first two games, Singapore finally broke through the win column on day 3, pulverizing an overmatched Laotian side. The Singaporeans started strong off the gates, leading by 24 after the first quarter, and they never looked back. Xuan Sim scored 22 points behind 4 triples to lead Singapore, while Muhammad Naqib Borhan and big man V Lavin Raj tallied 12 and 14 respectively. On the other end, Laos was paced by Team Captain Phongphoumy Thavatay, who scored 10 markers. Line of the Game: Xuan Sim (SIN) - 22pts, 4asts, 1reb, 1stl, 4 triples, 9/17 FGs. - Malaysia was in no way intimidated by the undefeated Batang Gilas Pilipinas. The Malaysians started like a house on fire, making 61% of their shots in the first period to take a 24-22 lead and put a scare in the Filipinos, but coach Mike Oliver’s wards steadied the ship in the last three stanzas to preserve their immaculate record. Malaysia’s defense gave Batang Gilas a lot of fits here as the Pinoys turned the ball over 18 times — the most so far for them this tournament. Luckily for the Filipinos, Malaysia’s shooting percentage dramatically dropped as the game went on and they, too, ran into a spate of errors. 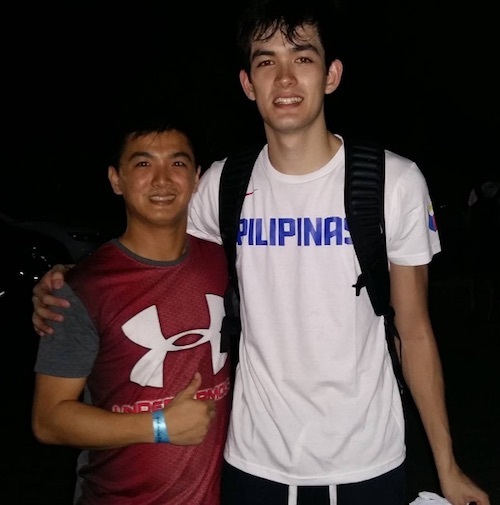 Long-limbed Gian Mamuyac ended up leading Batang Gilas with 18 points, while Josh Sinclair continued to impress with 14 points and 11 rebounds. Jonas Tibayan also did well with 11 markers and 8 boards. Erstwhile star guard Jolo Mendoza played only in the second half, but he struggled, making only 2 of his 14 attempts. Malaysia was led by Team Captain Kah An Soong’s game-high 22 points on 8/14 FG shooting, while Syahrul Ridzuan Rosli had 11 markers in just 10 minutes. Line of the Game: Kah An Soong (MAS) - 22pts, 6rebs, 3asts, 8/14 FGs. - The home team fell behind by double-digits in the first half and fell short in their last ditch endgame rally, absorbing their first loss of the competition. Indonesia was down by 11 with 8 minutes left, and they unfurled a 13-2 run to tie the game, 56-all, with 3 minutes to go on Patrick Nikolas’s jumper. The hosts, however, failed to score a single basket after that, while Thanakrit Limjittakorn hit the marginal free throw with 1:30 to go that proved enough for the Thais to escape with their second W of the tournament. Team Captain Suwichai Suwan once again shone brightly for Thailand with 18 points and 5 boards, while Limjittakorn finished with 11 markers. Muhamad Noor paced the Indons with a dozen points, while Nikolas and Abram Nathan each scored 10 in the loss. Line of the Game: Suwichai Suwan (THA) - 18pts, 5rebs, 2asts, 3 triples, 7/8 FGs.